Choosing a beard brush may seem like an easy task, right? Yes, an ordinary plastic brush will do ok, but it won’t perform as well as a beard specific brush. Many brushes that can be bought off the shelf for much cheapness are exactly that, cheap. Made from plastic, from a mould that will probably have ragged edges that will catch your facial hair. We prefer natural products, like wood. Bamboo being one of the favourites for a beard brush. Bamboo is our preferred material, it’s smooth, natural, it has very unique patterns and absorbs a little amount of beard oil. This helps the beard brush glide through the beard and it takes on some of the scent from the oil, what’s not to like? There are natural and synthetic options available, much like the handle options. But, the bristles of choice on a beard brush are boar bristle. Again, we like to go with the natural option. 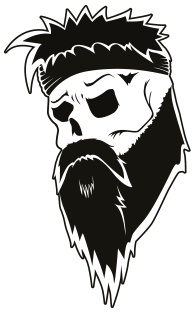 Boar bristles distribute beard oil/beard balm evenly and leave it feeling soft and fuller looking. 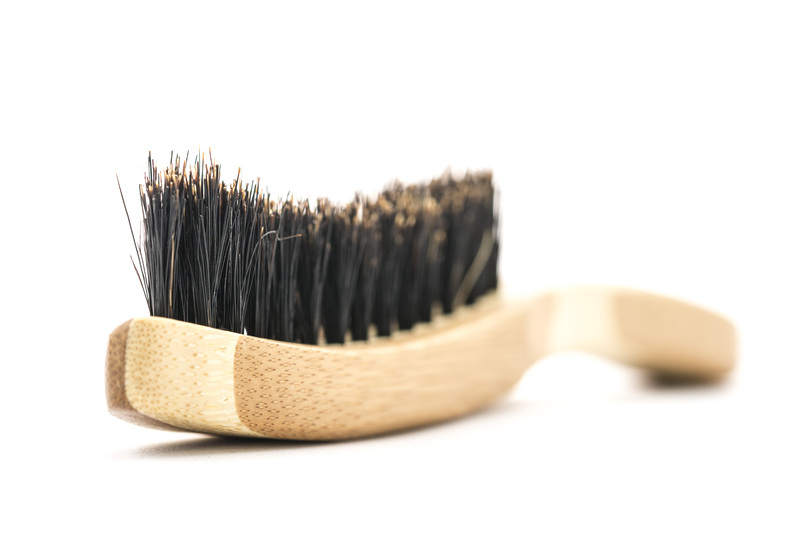 We chose to give our beard brush contoured bristles to match the shape of your face when brushing. 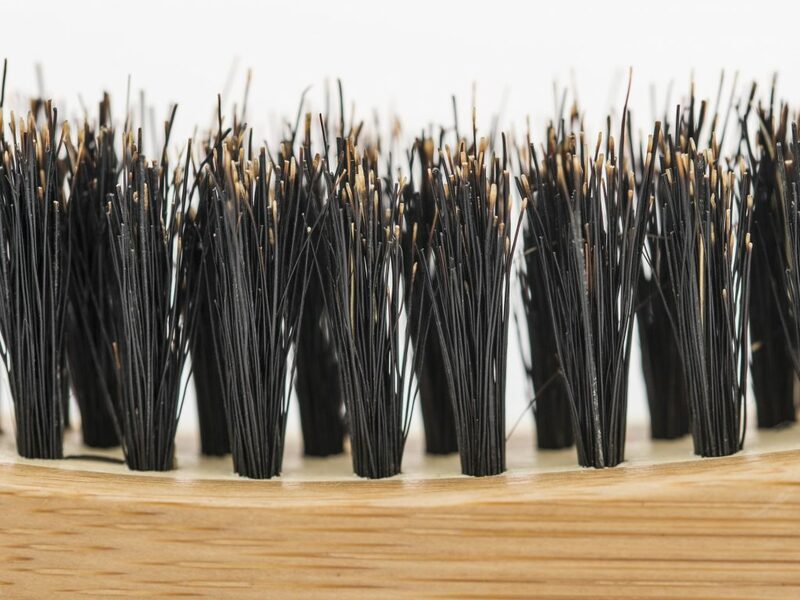 Believe it or not, there are different grades of stiffness for the bristles. There are variations from soft to firm. Braw Beard spent a lot time to get the right feel, if the beard brush was too soft, the bristles would just bend and flop over the hair making no impact whatsoever. 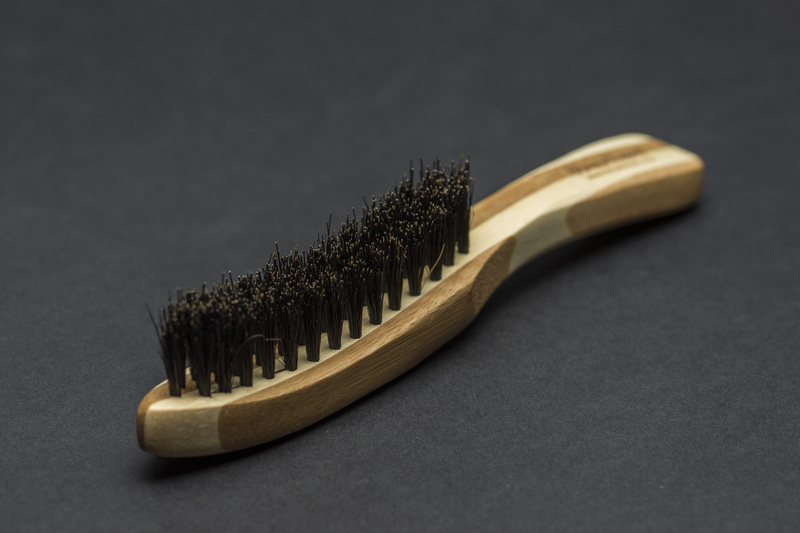 If it was too firm, the beard brush could damage the hair when brushing, also the end of the bristles felt like needles when they reached the skin under the beard. Those could damage the follicles and tear out hair, which is the last thing you want. One thing to consider though, if you have a long beard, stiffer bristles, rather than soft, is the better option. We chose to go with a medium stiffness to cover all bases. Handle shape really is personal preference, there are many beard brush shapes available now. Some with no handle at all, similar to the type used to polish shoes. We chose to give ours a handle to offer control and ease of use. Does size matter? In this case, yes. You want to have a beard brush that is able to fit in your pocket. Especially living in Scotland, we are exposed to the elements and wind everyday. Carrying a beard brush is just part of our routine now, going from the in-laws on the bike or walking to work, your beard will probably be a mess when you arrive. Luckily you have that pocket sized beard comb. 3. Gently start to brush your facial hair with the grain (from root to tip). Start gently so you don’t pull on any tangled hair too hard. 4. Continue to brush until your beard is smooth and snag-free. It should be an enjoyable process. Using a beard brush with also exfoliate the skin underneath the beard, which will remove dead skin cells and clear blocked pores which could be potentially hampering hair growth. 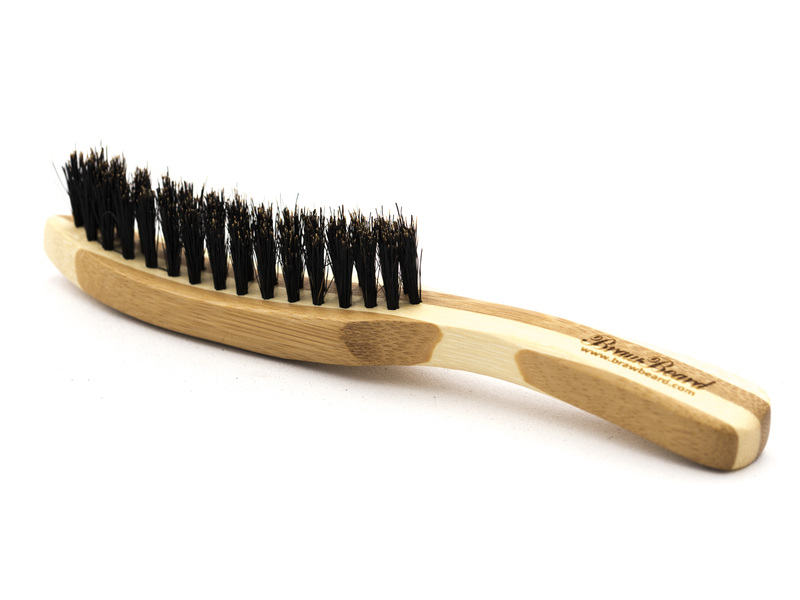 The boar bristles can encourage hair growth by gently massaging the skin, which will increase blood flow to the hair follicles. Do you have kinks in your beard? Using a beard brush as part of your daily routine will help to train and straighten your beard, making it appear longer. At Braw Beard we recommend choosing wisely when it comes to a beard brush. As mentioned, there are many options to choose from. We spent a long time getting one that we felt confident about. It had to be natural, a comfortable shape, the perfect bristle firmness and size that would be easy to carry around. I hope you have enjoyed reading this article and start using a beard brush in your daily routine. The crash site where it all began.